Researchers at Asan Medical Center (AMC) have developed a method that uses artificial intelligence technology to quickly and accurately identify microscopic bronchi in the lungs hard to detect even through precise medical images. The hospital expects that the new technology will help detect severe lung diseases such as asthma and chronic obstructive pulmonary disease (COPD) sooner. 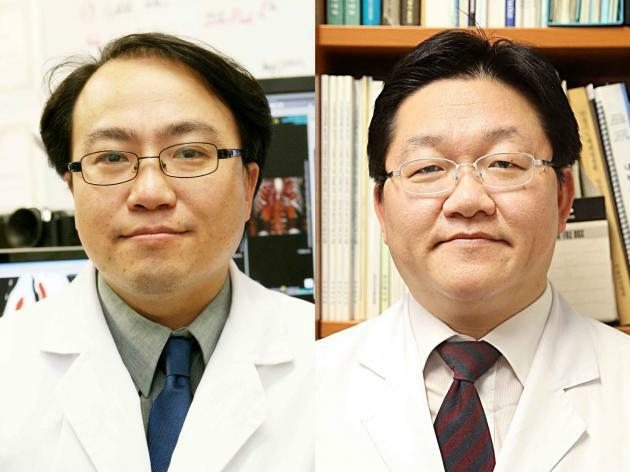 The team, led by Professors Kim Nam-gook and Seo Bum-joon at the hospital, developed an AI platform that can identify the body's bronchus with an accuracy of about 90 percent in an average of two minutes just by looking at chest computed tomography (CT) images. To accurately diagnose severe lung diseases such as asthma, COPD, and interstitial lung disease, it is necessary to analyze microscopic bronchi. Notably, it is essential to know the wall thickness of the bronchial tubes, as the wall becomes thicker after fighting airborne bacteria or allergenic substances. However, the bronchus has numerous bronchi with a thickness of less than one millimeter, making it hard to detect with medical imaging devices. Also, it is not easy to grasp the depth accurately as respiration or movement of the heart influences the results. To solve such problems, the researchers developed an AI platform that can quickly and accurately analyze not only microscopic bronchial structures but also thicknesses. The researchers developed the system by using a 2.5D convolutional neural network (CNN) and taught it by providing chest CT images of 59 patients with pulmonary disease. 2.5D CNN is a deep-learning based technology that shows 3D images by synthesizing several pieces of horizontal, vertical, and height photographs of specific objects. As it learns 3D image, it can analyze accurately from various angle. After developing the test image, the team tested the effectiveness of the platform using 10 chest CT images of the lung disease patients, while conducting a final test to confirm the accuracy and the analysis speed of the device by analyzing the chest CT images of eight lung patients with the invention. As a result, the platform detected the bronchial wall thickness with an accuracy of 90 percent in an average time of two minutes. Radiologists will be able to diagnose and treat severe lung diseases more rapidly by using the hospital’s new technology to analyze chest CT images, he added. Medical Image Analysis published the results of the study.